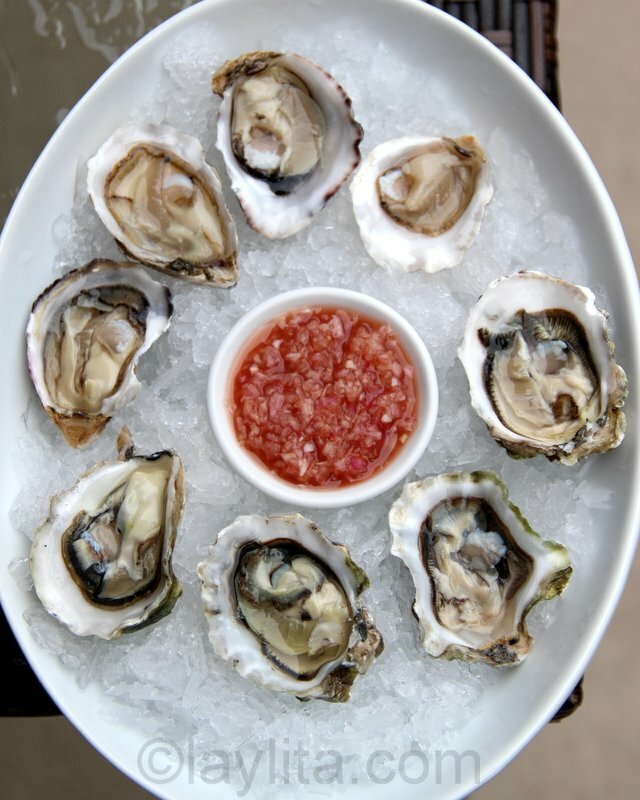 Mignonette is a classic shallot vinaigrette sauce that is used to garnish raw oysters. 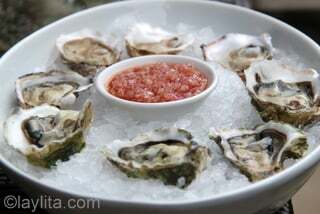 This sauce is so easy to make and is a must have for oysters on the half shell. You can either chop the shallots finely by hand, but you can also put them in a mini food processor to simplify the process. 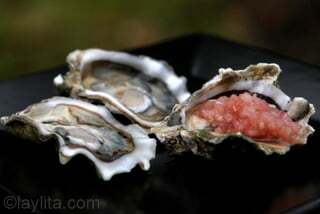 Some mignonette recipes add a lot of other ingredients, but this recipe, which I learned from my husband, is super simple and just mixes finely chopped shallots with red wine vinegar. 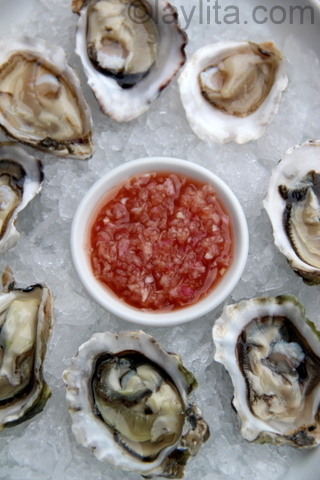 The mignonette sauce can be served at room temperature or chilled. 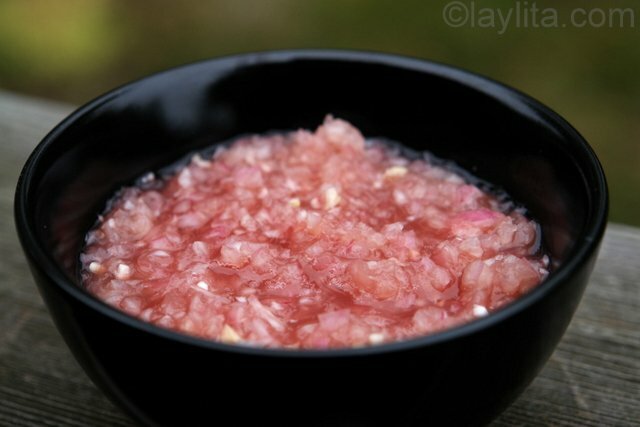 An alternative way to serve this sauce is to put it in the freezer and make a granita. The coldness of the mignonette granita goes perfectly with the fresh oysters. 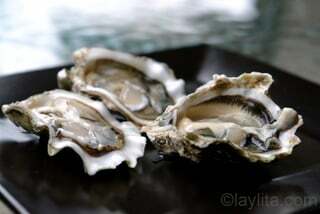 Easy recipe for mignonette sauce, a French shallot vinaigrette for raw oysters on the half shell. Chop the shallots very finely either by hand or using a mini-food processor. Add the red wine vinegar and mix well. 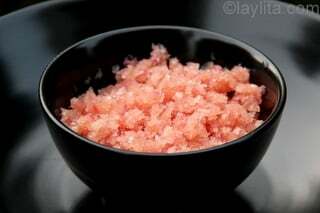 Save refrigerated until ready to use or follow the instructions below to make a granita. 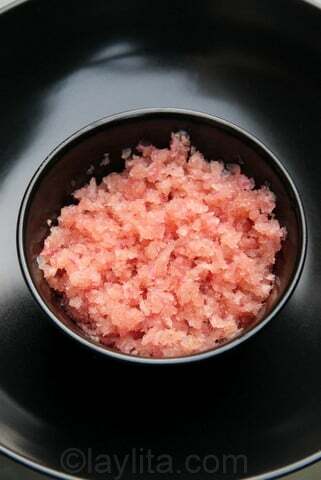 To make a mignonette granita just put in the freezer, let it rest for about 30 minutes, then stir it and put it back. Repeat the process until you have a mix that looks like a cross between crushed ice and fresh snow. Another way to make it is to just let it freeze completely, take it out about 10 minutes before serving and then start scrapping it with a fork. Glad to know about your excellent blog! Hi Sarah – Thanks for the mention!